As a litigator focusing on employment law and civil litigation, Eytan Rip emphasizes working together with his clients to obtain desired outcomes. 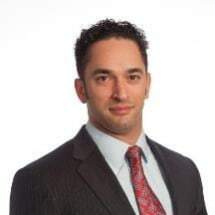 Before joining the firm in 2013, Eytan was a sole practitioner and has appeared before the Ontario Superior Court of Justice, as well as various tribunals and administrative boards. In his spare time, Eytan enjoys live music, cooking for his wife and daughter, and powerlifting-a sport in which he is a former national medalist in the bench press discipline.